A quarter of CEOs who have experienced a business failure cited lack of leadership and management, and lack of planning and execution as the key reasons leading to failure. The findings come from the Australian Centre for Business Growth, which asked 650 CEOs of medium and small companies in a four year longitudinal study if they had ever been part of a company that failed, or if a business of their own business had failed. While the 134 CEOs who responded yes gave over 250 reasons as to why the businesses had failed, there were some common threads. 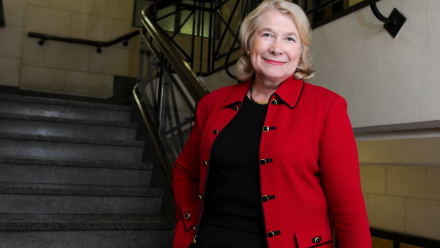 Dr Jana Matthews, director of the Australian Centre for Business Growth, said a common issue was CEOs not understanding their roles and responsibilities as company leaders. According to Matthews, too many Australian companies are failing because founders or CEOs “simply do not understand their job” and “don’t know what to do, when, or why”. “Leaders need to plan and set the company’s direction, communicate, build an executive team, create a high performance culture of execution, manage and optimise corporate resources, including employees and financial resources, customers, suppliers, vendors, advisors, and financiers,” she said. Beyond lack of leadership and management, inadequate market research, marketing, and sales was cited as a key reason by 17 percent of respondents, while 14 percent highlighted poor financial management. Thirteen percent of respondents stated that the business didn’t anticipate the impact of external factors and had no plan in place to mitigate risks, and in turn was blindsided by issues such as fire, drought, interest rate changes, regulations, and global trends. Just over 10 percent of respondents cited poor governance structures, and problems with partners or family members as a reason behind the failure of a business. Problems with the product or service being sold by the business was highlighted by seven percent of respondents, while six percent cited poor people management as a factor. The study from the Australian Centre for Business Growth is the latest to examine the reasons behind the success and failure of Australian business leaders. A study released in September by Korn Ferry and the Australian Institute of Company Directors (AICD),Australian Women CEOs Speak, examined the careers of current and recent women CEOs in Australia to highlight the shared factors to success. The report determined 10 drivers of Australian women CEOs, including nimble and collaborative leadership; motivation; confidence and self doubt; and higher education.